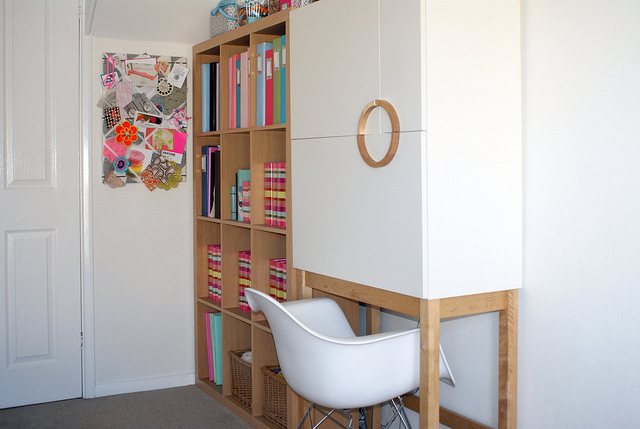 This is my fave corner of our home, my little craft corner! 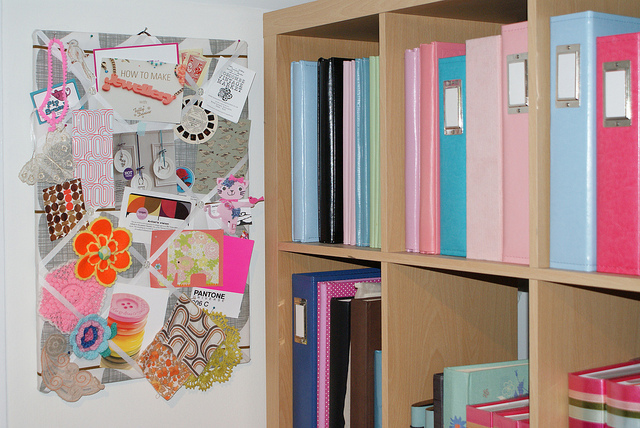 This is where I keep all my scrapbooking stash, albums and my little inspiration board. 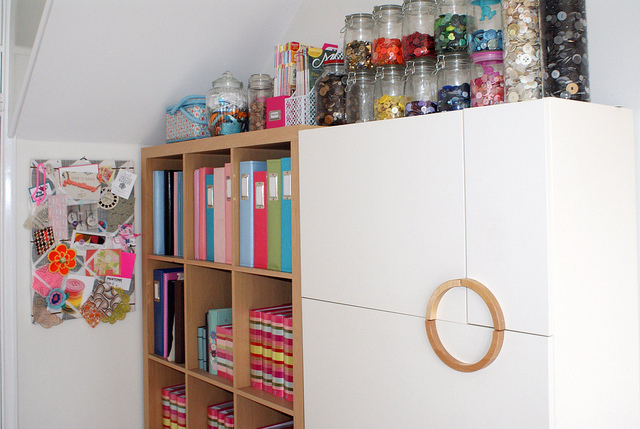 The craft cupboard is from Ikea, its great for hiding away all the mess away. As you can see I love buttons! I love thrifting for old tins of buttons and sorting through them all, and I cant go to the Eternal Maker without coming away with a few more. The albums are from We R Memory Keepers. I still haven't got around to labelling them all with dates yet! I like to get all my photos actually printed off so I have lots of photo albums too. The pin board is where I like to stick up bits and pieces I love - some crochet doilies, postcards, cut outs from magazines and some scraps of fabric. Its nice to have somewhere I can put a few bits up to see and not have it all hidden away. Anyhoo, we are off to pick up my pottery now that the kids painted for me for mothers day last weekend. I love that bit, unwrapping them to see how they turned out. 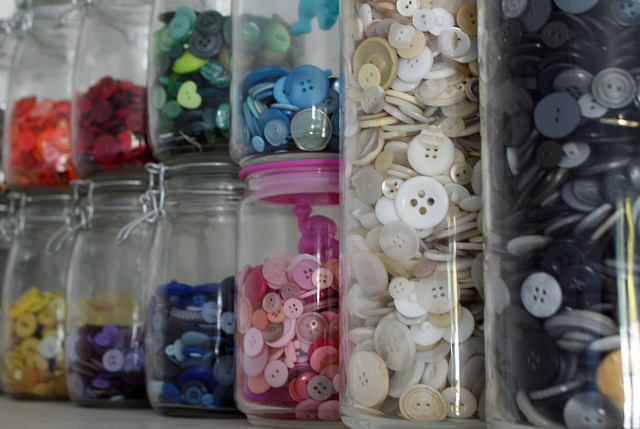 Also love the buttons in the jars in colours, looks fantastic.